The Western Balkans in the European Union: Perspectives of a region in Europe? Reflection Forum on the run-up to the Summit of Trieste on the Western Balkans will convene the community of European experts working on Western Balkans’ EU integration to reflect on the challenges bedevilling the EU’s enlargement policy, once deemed the EU’s most successful foreign policy, and the contribution research can make to address these. Taking place on 26 – 27 June 2017 in Trieste, Italy, reflection forum will provide a platform for exchange of perspectives between experts working in national and European administrations and institutions as well as researchers affiliated to European think-tanks and universities in the EU and the Western Balkans. This second reflection forum, dedicated to regional cooperation, will reflect on the enlargement and the Western Balkans among the policy community, the media and the general public. Three areas of reflection have been delineated: the resurgence of bilateral and regional tensions, the gap between regional cooperation in enabling security matters and the pitfalls of gendered models of economic development. Speakers at the forum will not deliver their presentations ex cathedra but participate interactively in debates moderated by experienced experts. The reflection forum and reflection conference will set the basis for the elaboration of reflection papers, disseminated across the policy community. They will be followed up by a new series of outreach events (panel discussions), to be organised throughout the Western Balkans as well as in the Berlin Process countries in autumn and spring 2017-2018. Centre for European Perspective is co-hosting one dinner in Portorož, Slovenia with the Slovenian Ministry of Foreign Affairs. The welcoming address will be delivered by Peter Grk, National Coordinator for Western Balkans at Slovenian MFA and Darja Bavdaž Kuret, State Secretary of Slovenian MFA. 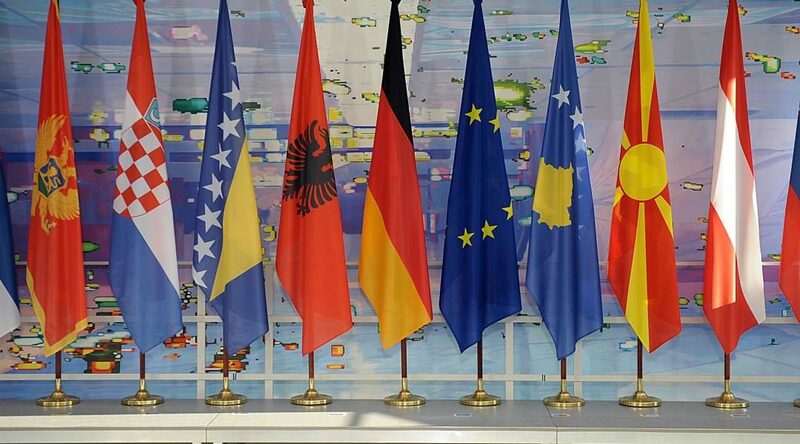 In 2014, in the wake of the 100th anniversary of the outbreak of the First World War, the Federal Chancellor of Germany, Angela Merkel, initiated an intergovernmental process with the countries of the Western Balkans (the so-called Berlin Process). Its aim is to improve cooperation throughout the region, put “fundamentals first”, and thereby reinvigorate European integration. The first conference, organised in Berlin, was followed by a second one in Vienna in 2015 and a third one in Paris in 2016. A fourth conference will be convened by Italy in 2017, before the process expectedly ends one year later, in 2018, on the occasion of the 100th anniversary of the end of WWI. In order to encourage a European dialogue amongst think tanks and academic institutions on the Western Balkans and their European perspective, the CIFE, CFA, IAI and IFRI, together with other institutions, including CEP, launched in 2015 an initiative that culminated with the organisation of a “reflection forum” on the Western Balkans in May 2016 in Paris. The reflection forum took place in the run-up to the conference on the Western Balkans hosted by President François Hollande on 4 July 2016. It created an open platform of exchange for more than 80 key experts coming from all over Europe. This first reflection forum addressed some of the topical challenges the EU and Western Balkan countries face, from socio-economic convergence or migration security to democratisation or geopolitics. In the weeks following the event, an expert report was elaborated in cooperation with the EUISS and transmitted to French authorities before the Paris Conference of July 2016. In the following months, a series of outreach events (panel discussions) were organised throughout the Western Balkans in order to nourish the reflection initiated in Paris on the European politics and EU enlargement. This process of reflection and think tank mobilisation will be continued throughout 2017. On 5th April, a high-level reflection conference, organised under the patronage of the Italian MFA, started the process leading to the second edition of the reflection forum, organised on 26-27th June 2017, in the run-up to the next intergovernmental conference on the Western Balkans hosted by Italy in July 2017. Reflection forum is organised and supported by Istituto Affari Internazionali (IAI), Centre international de formation européenne (CIFE), Austro-French Centre for Rapprochement in Europe (CFA), French Institute for International Relations (Ifri), Stiftung Wissenschaft und Politik (SWP), Austrian Institute for International Politics (Oiip), European Union Institute for Security Studies (EUISS), Balkans in Europe Policy Advisory (BiEPAG), Osservatorio Balcani e Caucaso (OBC), Central European Initiative (CEI), Regione Autonoma Friuli Venezia Giulia, MIB Trieste School of Management, Ministry of Foreign Affairs of Italy, Ministry of Foreign Affairs of France, Federal Ministry for European, Integration and Foreign Affairs of Austria, Federal Ministry of Foreign Affairs of Germany, Friedrich-Ebert Foundation (FES), and Centre for European Perspective (CEP).